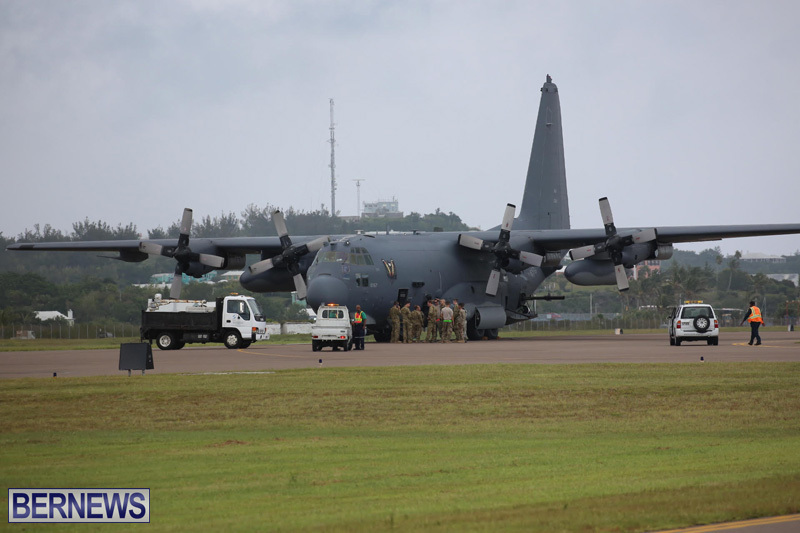 [Updated with video] An AC-130 diverted to Bermuda and made an emergency landing this afternoon [July 24] due to what is understood to be an hydraulics issue. 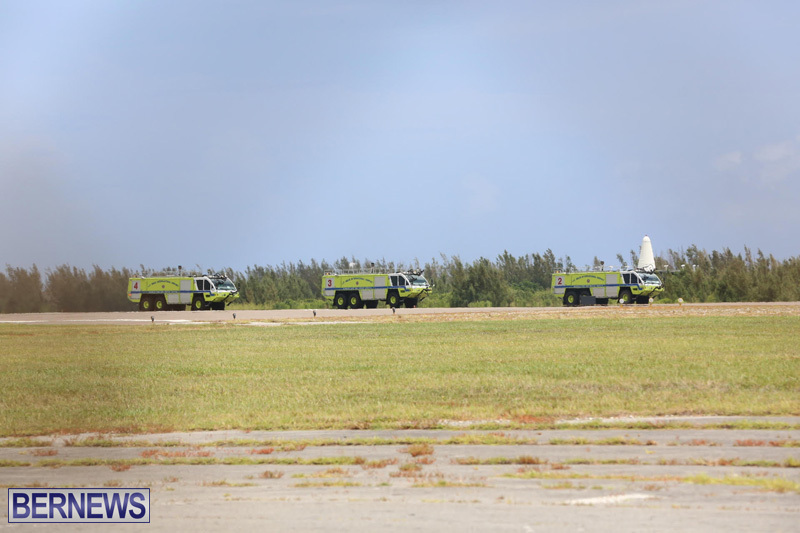 It landed at around 2.00pm, with the Bermuda Fire & Rescue Service standing by as the military plane landed. All appeared to have gone well, and military personnel can be seen standing outside the plane. So glad all is safe…..
Do you know what “AC” stands for?. 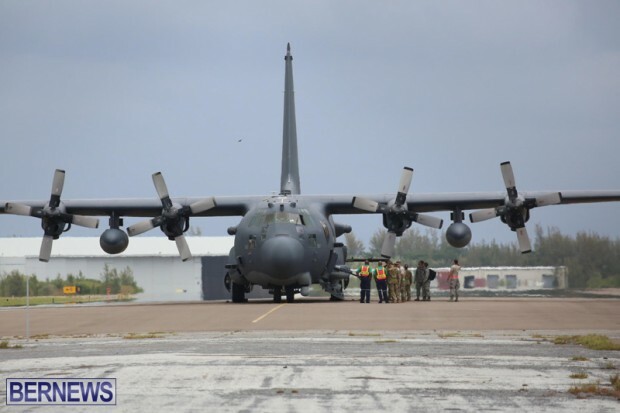 C-130 is the airframe and then this model has cannon/howitzers installed. 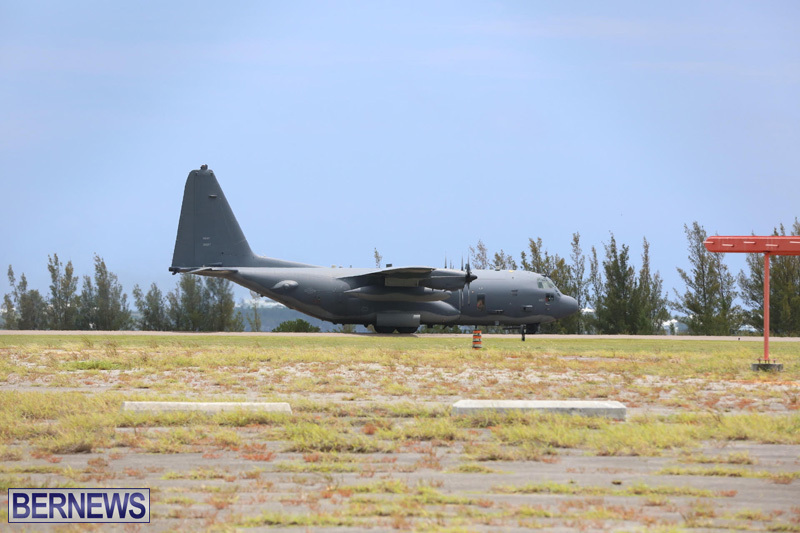 “AC” A Cargo Aircraft with Weapon attack capability. 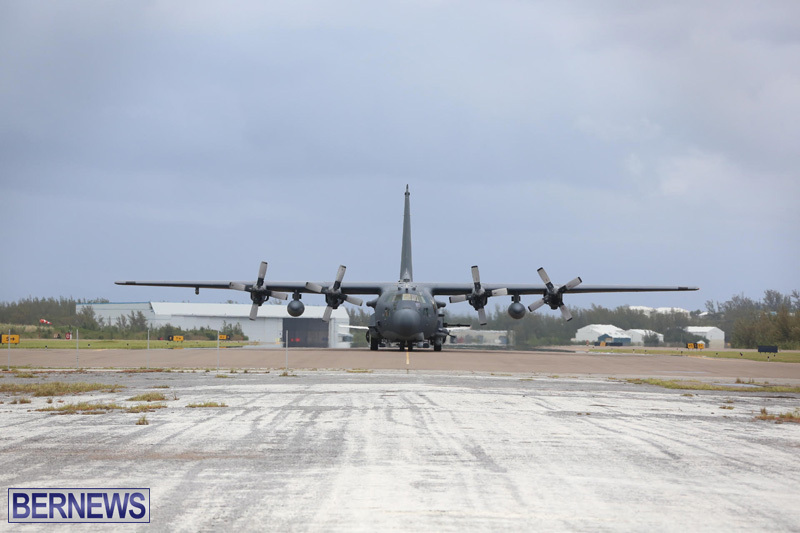 That AC-130 carries a series of weapons from 7.62 Gatling machine guns, to a 75mm howitzer cannon. hey!!!!!!!!! !just looked up this plane wow it worth 132 millions …does any body think we can once again try to talk to the Americans and work out a deal that gives Bermuda an airport terminal and shared use of the run way or even the Brits instead of private ccc I think I heard the porto g told the Americans if the moved out of their bases they would let the Chinese in? Lol @ Pete. Way to try to sound smart and be completely wrong. Actually, “AC” does stand for “Attack cargo”. The AC designation originates from the ww2 era. The original AC variant was the AC47 known as spooky, also was designated ac47 gunship, much like the ac130 gunship, ac130sceptre, ac130spooky and the ghostrider. Don’t let it sit there too long. The Regiment will want one. What on earth do they need 3 fire trucks for!! 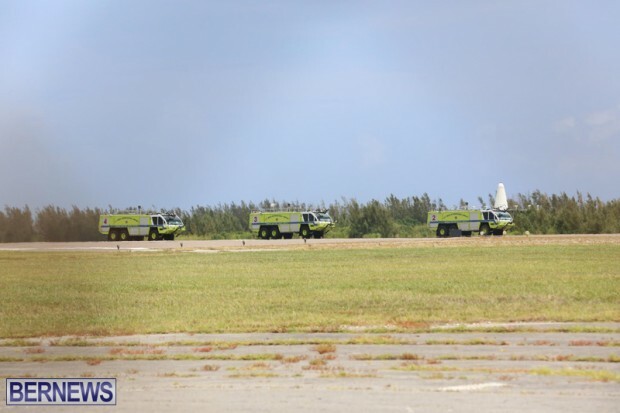 This “emergency” was probably pre-planned for some R & R!!! AC does NOT stand for Attack! Please enlighten me then, What does the “A” in AC stand for RAF?